Beautiful pictures of two beautiful women! 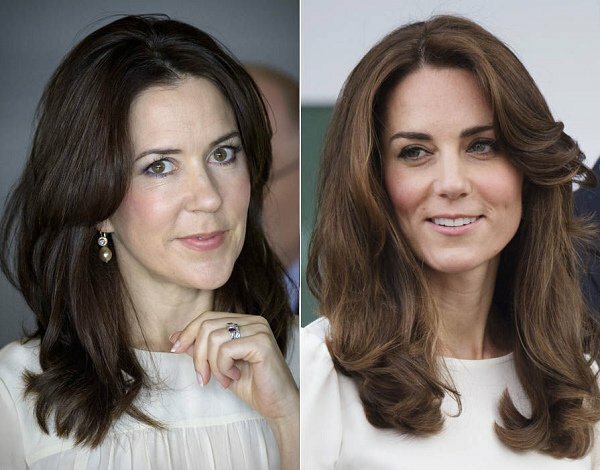 This has always been my opinion, both women are their own individuals and second if you really had to compare, Mary is within the court circle before Kate so yeah that would make Kate (or her stylist) to be the one aspired by Mary..
Kate is the vanilla version of the tres chic Mary, a poor imitation of at best. That is just not true as you put it, even if it might be sometimes. 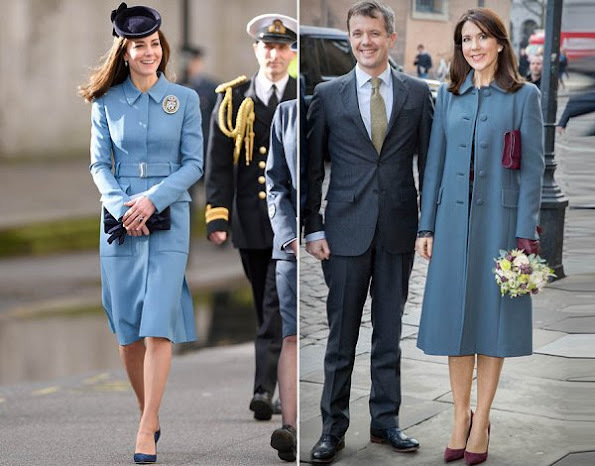 Mary never wore certain brands before Kate wore them, LK Bennett or Erdem being good examples of that. 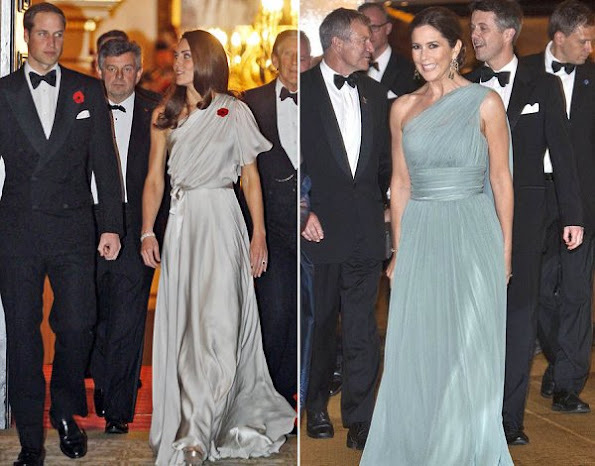 Mary wore the electric blue dress styled with a long necklace just some time after Kate wore her version. 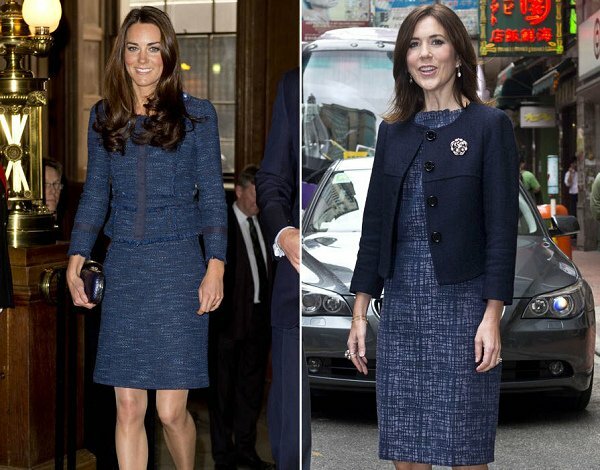 Mary used to wear bigger bags before Kate came into the royal scene with her tiny handleless clutches. I'm not saying it's the other way round, I think they have their own separate style ways and sometimes, rarely though, pick up some details (deliberately or accidentally) from each other. two women with different styles, Mary is more edgy Kate is more classic. Completely normal to find some clothes that look similar. They are both beautiful women. However, Mary has more poise and better posture. It is time for Catherine to stop the hunched over bag-clutching. She often looks like an awkward teenager at a "grown-up" event. Totally agree. The poise will make or break a look. Mary has better poise, which Kate maybe(?) still has time to acquire. But they both lack charisma, which cannot be acquired. Such a comparisions aren't really fair nor for one nor for another side. This are two beautiful women with different characters and priorities. And age difference between them is around 9 years (I guess) and that's a lot, so when it comes to experiences in royal duties Mary is in favour and when it comes to beauty Kate is (for me)the one that is leading. I don't have any strong or negative feeling about both of them. However, I agree with ZL. Besides, why compared both of them? They can't be compared. The shape of face is also different. Kate is taller and Mary is not. Moreover, the proportion of their bodies are different. 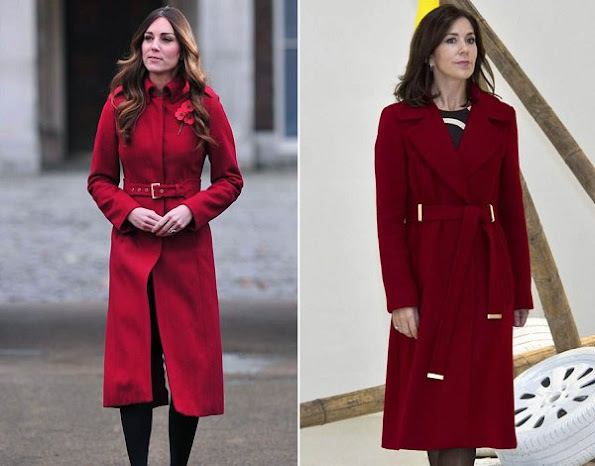 If Mary wants to copy Kate's style, Mary or Mary's stylist has to be careful of selection. Copy is not a shame. However, it has to be careful. Some fashion style may suit you and some don't. What's the use of this forced comparison? Luckily they are both unique persons like all of us. I wish they would not compare these ladies. Or any of them like this article. Must be a slow news day for the Daily Express. Personally I don't think there is any comparison. So both women have worn the say colour or the same colour combinations, style wise they are not at all alike. Mary is very elegant and poised, she always looks comfortable and at ease in her role as Crown Princess. She was as they say a diamond in the rough. She was a pretty young woman who blossomed into a true beauty and into her role as Crown Princess. 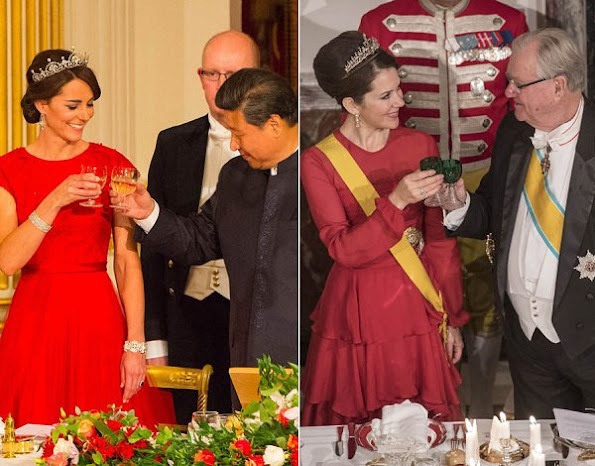 Kate seems to be a lovely girl and a true asset to the British Royal Family, however she does not look at ease in her role, and her posture is indicative of this. Perhaps her attitude has something to do with Prince William's attitude towards his role in the his family, or it could be Kate's reluctance to take advice, who knows. 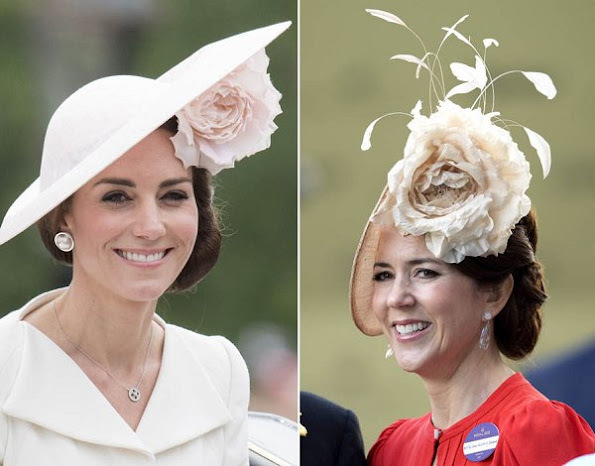 Kate also doesn't have Mary's natural elegance and poise, she may blossom into a butterfly one day, but as yet, she hasn't, so I am doubtful that she will. 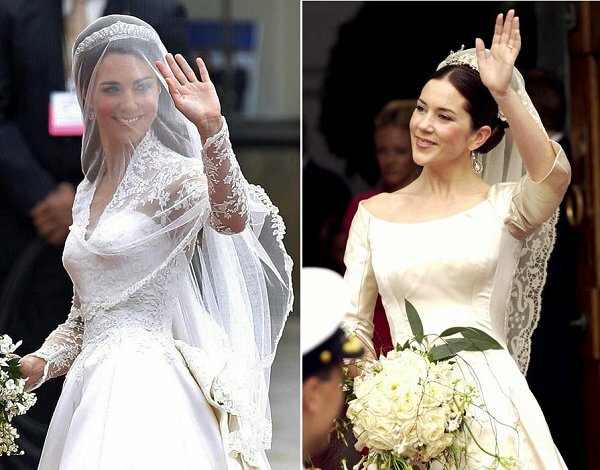 It didn't take Mary very long to transition for Mary Donaldson to Crown Princess Mary, but that special something hasn't happened to Kate. Kate doesn't have a "wow factor".